Heroin enters the West like blood through veins. The heart, down in Mexico, pumps out its illicit products in cars headed north through small border towns like Antelope Wells, New Mexico. As regular as a heart beat, cheap and potent black-tar heroin comes north from cartel strongholds in the Mexican states of Sinaloa and Nayarit, over the border and on to Denver, to Salt Lake City, to Laramie and then even further: Bellingham, Washington; Salem, Oregon; and Anchorage, Alaska. In 2014, the Drug Enforcement Agency estimated that a quarter-million pounds of heroin passed through the West. Since then, officials estimate that Mexico has increased its heroin production by 50 percent to quench the United States’ growing thirst for heroin. The West’s open spaces allow drugs like black-market prescription drugs, narcotics and heroin to move faster here than in the highly compartmentalized East, which has higher populations concentrated in smaller spaces, says Ernie Martinez, director of the executive board for the National Narcotics Officers Association Coalition, a collaboration between federal drug enforcement officials and state and local-level officers, among others. 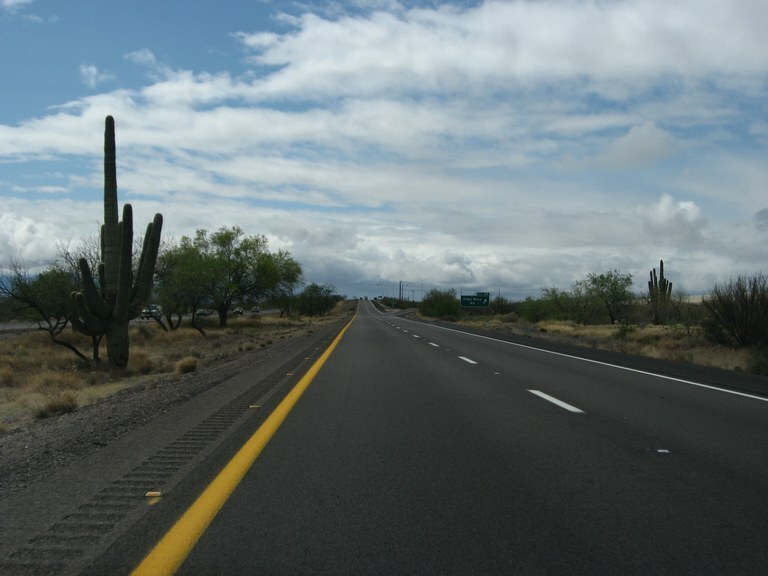 Along Interstate 19 where it runs from Nogales, Arizona, one of the West's busiest drug corridors, to the Mexican border. While the national heroin epidemic has put Eastern cities in the spotlight, the percentage of drug users in the West is actually greater than those in the East. Alaska, Montana, Oregon, Montana and Colorado have the highest percentage of people aged 12 and older that have used illicit drugs like heroin or methamphetamine in the past month, according to an anonymous survey by the Substance Abuse and Mental Health Services Administration. Opioids, which encompass the numerous prescription painkillers on the market as well as street-manufactured heroin, now kill more people nationwide than guns or car crashes, according to the Centers for Disease Control and Prevention. Oregon and Colorado lead the country in rates of abuse of prescription painkillers. 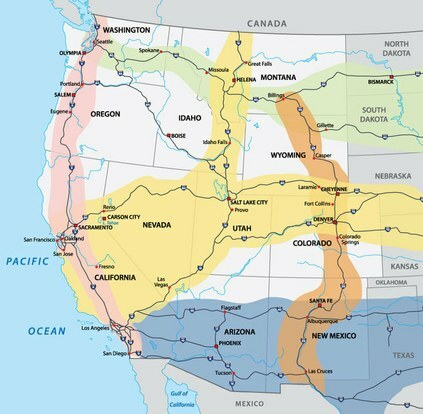 Major drug corridors in the West are dictated by the region's major highways that move heroin quickly over vast distances. Major arteries, according to a 2015 DEA report, begin in Los Angeles and Denver, where organizations have created strategic hubs to facilitate the movement of drugs through the West. From those strongholds, drugs travel across the country’s busiest highways, like Interstate 25 which moves drugs north to south and Interstate 70 which moves drugs east and west. Those freeways intersect in Denver, putting the city “at the center of an ‘X marks the spot,’” Martinez says. Organized cartels from Mexico have succeeded at establishing strongholds in the West and are the region’s main suppliers. They include the Sinaloa Cartel, thought to have originated in the Mexican state of Sinaloa, and the “Xalisco Boys” of the Cartel Jalisco Nueva Generación from the Mexican state Nayarit, which have become known for dispatching heroin orders within urban hubs like a pizza delivery system, according to Martinez, who investigated the cartel in the Denver area. To explore our data, click on a cartel in the legend on the left. The respective cartel's strongholds in Mexico and its connections to Western distribution hubs will appear. From the cartel's Western hubs, black-market drugs travel to the farthest reaches of the country. Once heroin makes it over the border, it often lands at stash houses in San Diego, Los Angeles; Tucson and Phoenix and Nogales in Arizona; and Antelope Wells, New Mexico, before the substances make their long journeys from the Southwest to the Northwest and out to the Midwest and far east, according to Douglas Coleman, special agent in charge of the Phoenix Division of the DEA. Meanwhile, drug users are also changing. In Colorado, Martinez says he’s observed in shift over the past five years to a higher percentage of “poly drug users” that partake in a cocktail of drugs, rather than stick to a single substance. On top of the myriad drugs available on the street— hydrocodone, fentanyl, muscle relaxers and heroin —the marketing of prescription drugs by the American pharmaceutical industry has added to demand, Martinez says.